The Supreme Court was asked for an extension of Meralco’s rate hike and this is the content of the petitions led by Bayan Muna Reps. Neri Colmenares and Isagani Zarate. They have prepared an 11-page motion that will be shown to the Supreme Court after a 60-day TRO that was issued on Dec. 23 will lapse on February 21. This was according to SC Spokesman Theodore Te. According to the petitioners, there might be an increase in the prices of goods and services in case the TRO will be lifted and that will be an additional burden to the people. They also explained that the increase will surely deprive the consumers of their incomes and has an effect on the economy. His will cause inflation wherein the entire nation will suffer. 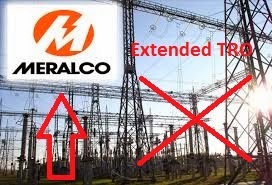 The petitioners also reacted on the warnings of blackouts of Meralco and even considered it baseless due to the fact that there was an announcement from the Department of Energy that there was no shortage of supply in electricity in the country. This means that the amount of supply will not cause any blackout especially in summer. They stressed that any threat is not due to the fact that there is a shortage of energy, the reason might be something else without relevance. There are so many petitioners for the case and it include Gabriela Women’s Party Reps. Luz Ilagan and Emmie de Jesus, ACT Teachers Rep. Antonio Tinio and Kabataan Rep. Terry Ridon. The decision of the case by the high court will materialize once the parties are given enough time to submit their memoranda which is until Feb. 26. The said memoranda will be reviewed by the high court and that will be the time for them to decide. The issue is something big for those who are struggling to make both ends meet and suffering from the increase in power rate. What is your thought regarding this? Can you see this as a solution to the country’s power problem or something that will make it hard for the consumers to pay their bills?